You are here: Home / Skincare / How Smoking Affects Your Appearance! How Smoking Affects Your Appearance! Smoking as we all know by now is a nasty habit. Amongst other things smoking causes cancer. Less known is that it also causes hyperpigmentation aka dark spots, wrinkles, yellowed fingertips, gauntness to the face, atropic and plethoric skin, damages collagen and elastin, reduces the amount of blood, nutrients, and oxygen that reaches the skin. Slows the ability of skin to regenerate and heal itself. Thins skin by about 25%-40% compared to non-smokers. Stains you teeth and nails . Your eyes look tired and bloodshot. 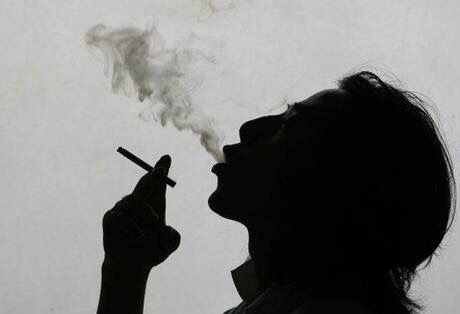 Smoking makes your skin sag and not just in your face; your stomach, thighs, breast and buttock as well. « Changing Your Makeup Seasonally – Change The Formula & Color!